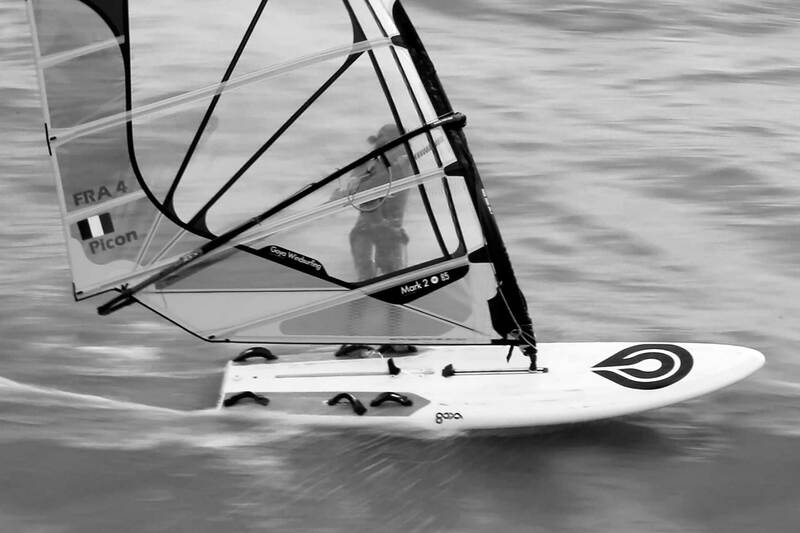 The Regatta Pro is a modern Raceboard concept. 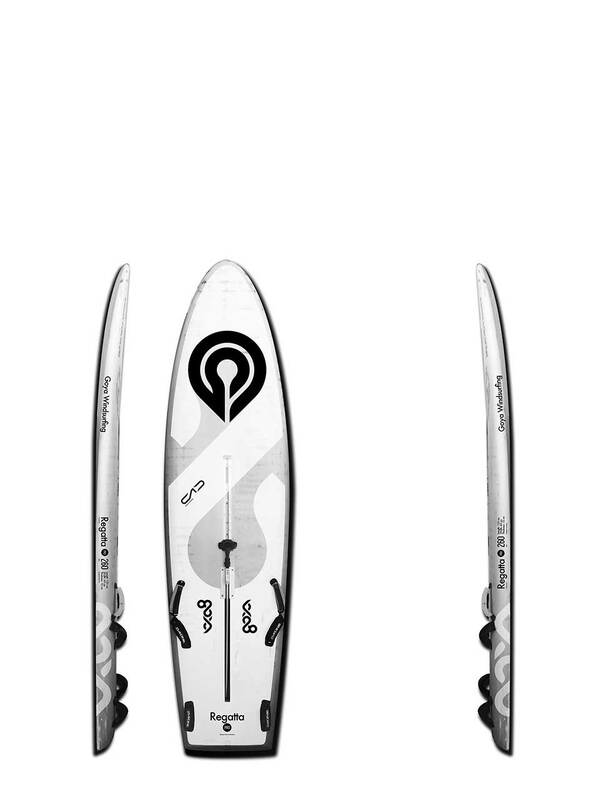 An innovative shape, capable of combining effective and comfortable navigation on the rail, with real glide sensations and planing on the fin. 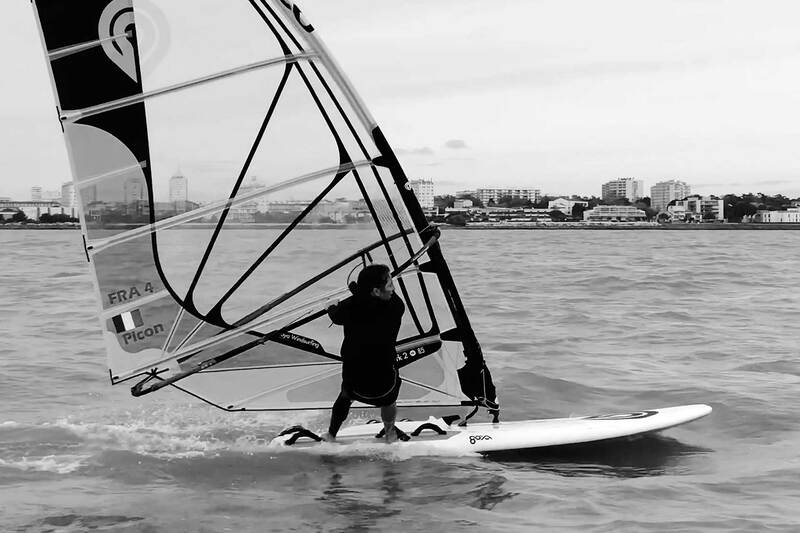 A compact Raceboard for those who desire the feeling of support by the daggerboard, not unlike a classic “Open Class” (below 10 knots), and at the same time keeping the character and the speed of planing boards (above 11 knots on the fin). The Regatta Pro is the result of research and development in collaboration with the French Sailing Federation, with the aim of reviving global scale tactical and entertaining contests in light wind, as well as dynamic and powerful racing in forceful wind. 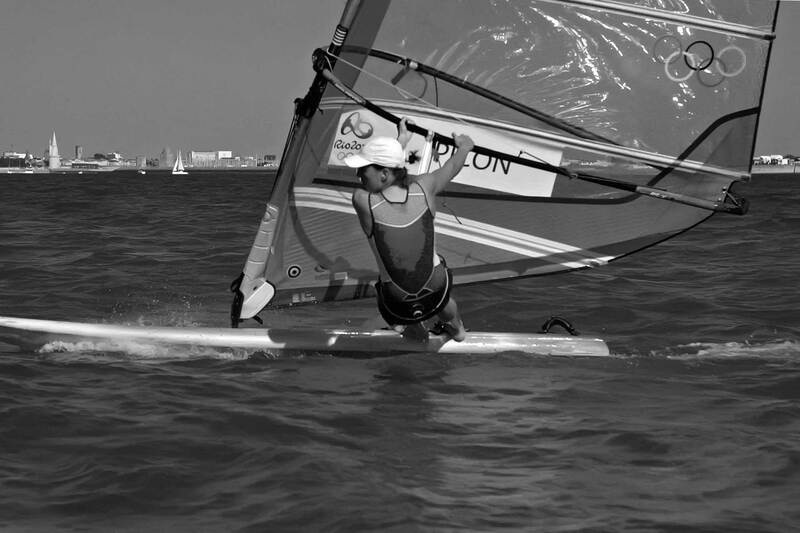 A truly innovative concept that meets all expectations of the Federal Fleet structures, which, at the initiative of the FFV, seek to offer youngsters the support and equipment needed to revive a discipline capable of being competitive and appealing to riders of different size and weight from 3 to 30 knots. Comes with a 62 cm race fin and a daggerboard. Direct Drive Monocoque. The Direct Drive Monocoque connects your stance to the masttrack, supplying your board with the optimal ratio of stiffness to flex and distributing peak loads to the rest of the board. Additionally a triangular glass patch acts as a backbone to the core of your board, making it stiff and eliminating primary distortions.